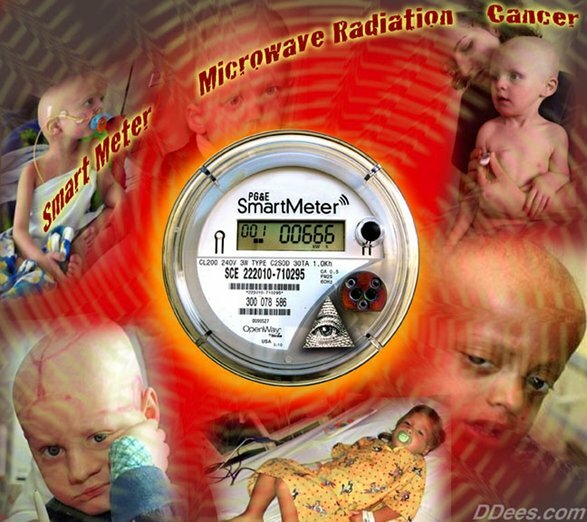 Abstracts of articles describe the link of low-level microwave radiation and other frequency ranges of radiation exposure to the development of tumors, to DNA (genotoxicity), to production of stress proteins, to heart disturbances, to general brain effects, to blood brain barrier and nerve effects, to immune reactions, and to general functional impairment. De-Kun Li, senior researcher at Kaiser Permanente in Oakland, CA, has shown that EMF exposure in the womb is linked to increased risk in childhood obesity. The Maine Supreme Judicial Court has ruled on July 12, 2012 that Maine Public Utilities Commission has failed to resolve health and safety issues resulting from the installation of smart meters by Central Maine Power Co. According to Josh Del Sol, opponents to smart meters “argued that utility regulators ignored their legal mandate to ensure the delivery of safe and reasonable utility services.” Sadly, the $200 million project, which replaced 615,000 analog meters with smart meters, is complete. Federal stimulus money provided half the cost. The court’s decision appears ineffectual since the smart meters are already installed. UL, according to their website, is a global independent safety science company offering expertise across five areas: product safety, environment, life and health, verification services, and knowledge services. CSA is a global provider of product testing and certification services for US, Canada and countries worldwide for many products and components. People should be gravely concerned that utilities have installed and are installing at a rapid pace the untested, unapproved device called smart meter which controls all electrical usage, causes fires, and serious health effects. On my recent trip to Europe, I photographed banks of smart meters everywhere, installed with European Union funds. We do know why utilities are installing smart meters in the U.S. – it is a convenient way to control our energy use and thus our independence by using the ruse of convenience, modernization, cheaper energy, expedience, and better service. Nothing can be further from the truth. Smart meters are convenient ways to spy on the populace, charge them more per kilowatt hour of consumption, reduce consumption by cutting power delivery, control the population and its health, reduce costs for utilities who no longer have to worry about storage capacity and building additional storage plants which are expensive, reducing costs of wire maintenance under and above ground, and eliminating meter readers for conventional meters. Besides driving around looking for it, is there any way to find out where our local Medusa gathering site is? I have been also alarmed to find a microwave ‘cell’ tower in the middle of a farm field. Those people obviously are not aware the risk they are inviting for themselves and their neighbors, or, they may not have had a choice. We have a new electrical facility going up by the highway. I have no clue what grid they plan on connecting to. And another is going up in a town north of us. I heard it was reported the power company told the town, like it or not, complain all you want, we can, and will put it in. Getting Off the Grid and Generating your own power is one choice. It takes A lot of time , know how and money to become energy independent. You would no longer be a Slave to the power company. After doing all the work and investing all the time and money , the GOV will come by and seize your land under ” Imminent Domain ” any way, so it’s probably a No Win Situation owning property in the Zionist USSA.